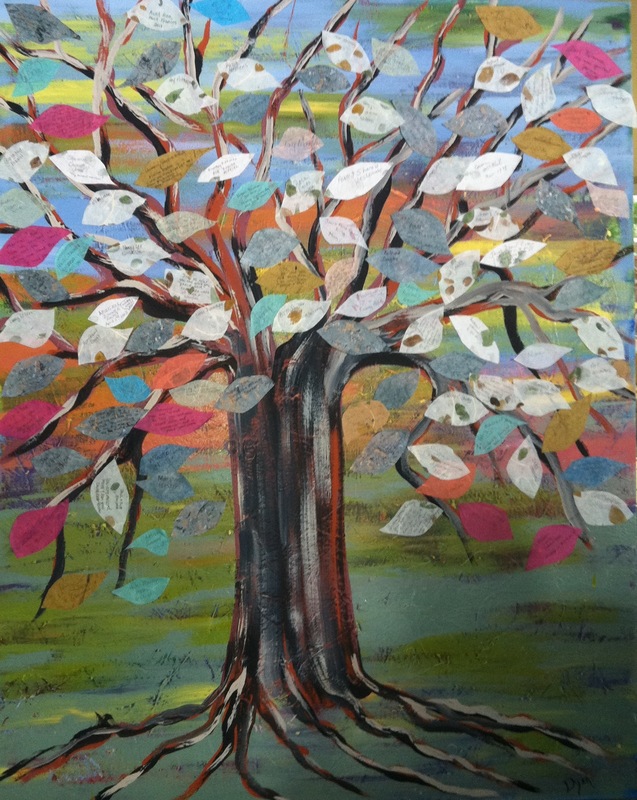 Art Prescription: My stark tree coming to life as people remember a loved one. Through art, people grieve, feel less alone in their sorrow, and create beauty. Thank you Heidi Gessner, UNC Bereavement Coordinator, for inviting me to be a part of this service! Art Prescription: Euonymus americanus – Bursting Heart, Hearts-a-bustin’, Strawberry Bush.. E. americanus is a shrub with thin stems and opposing, shallowly serrated leaves. The bush grows from 4 to 6 feet tall. Fruit is a red 4-lobed capsule. 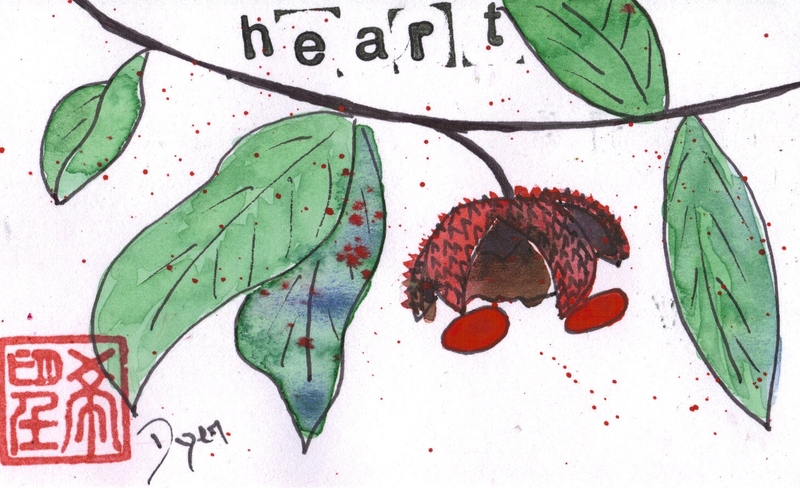 Each lobe splits open in the autumn, giving the name Bursting Heart. There are many days that we may feel our hearts are bursting, with joy, with praise, and with sorrow.